SALE! Now $150, originally $195. Vintage large format magazine cover photo from an art show of photography by Ron Nielsen (1942-2010). Nielsen worked as a photographer for Chicago Magazine and a long list of national media outlets including Holiday, National Geographic, United Press International, Reader's Digest, Time, and the New York Times. 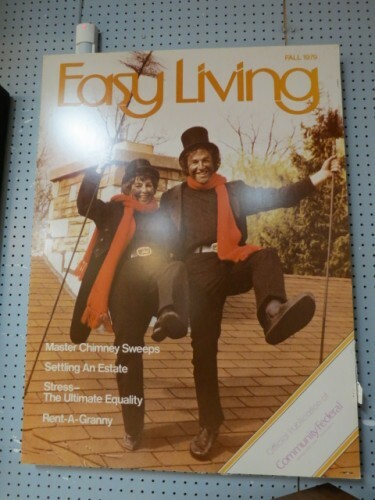 This photograph shows the cover of Easy Living from Fall 1979. Very visually interesting wall decor. Good condition. 30" wide, 40" tall. SALE! Now $150, originally $195. 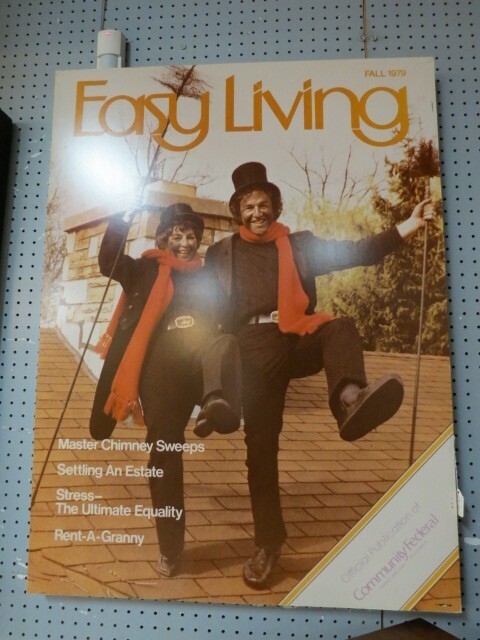 Vintage large format magazine cover photo from an art show of photography by Ron Nielsen (1942-2010). Nielsen worked as a photographer for Chicago Magazine and a long list of national media outlets including Holiday, National Geographic, United Press International, Reader’s Digest, Time, and the New York Times. 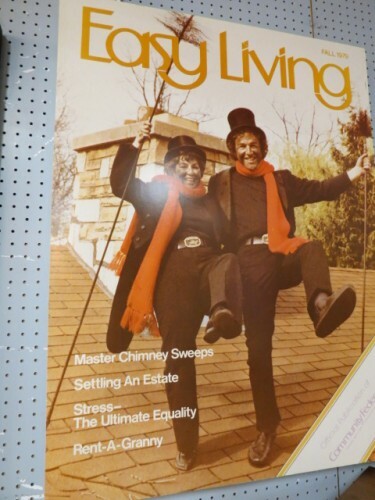 This photograph shows the cover of Easy Living from Fall 1979. Very visually interesting wall decor. Good condition. 30″ wide, 40″ tall.